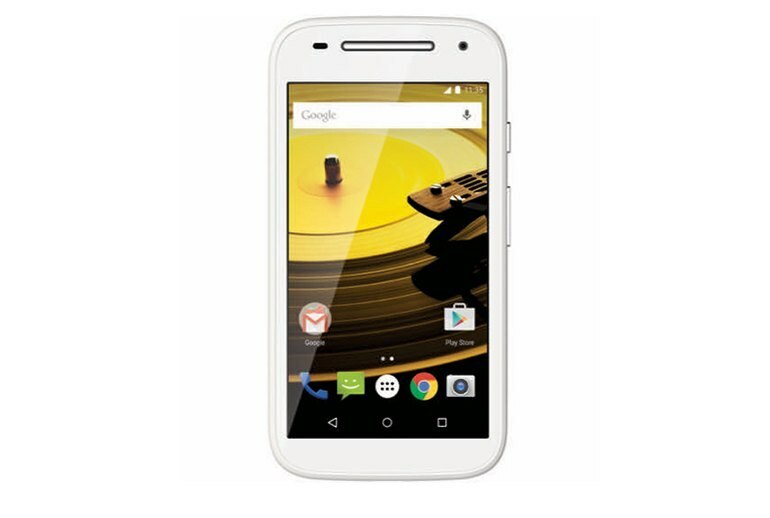 The budget price is hard to beat when you consider all the Moto E has to offer. Performance has a few hiccups but nothing show-stopping. 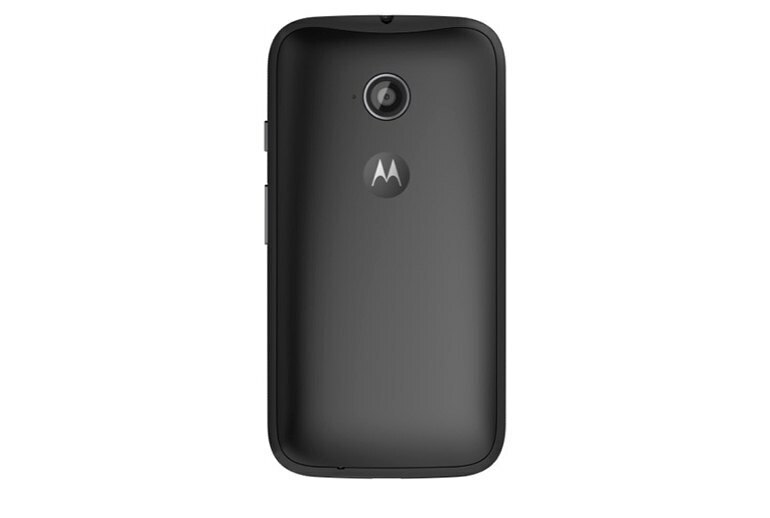 The Moto E follows Motorola's design language for its high-end devices. The camera is mediocre at best. The Moto G doesn't cost much more, and it's a much better device. The Moto E is about as low as you can get in terms of pricing and specs for a smartphone, but it has a place in the ecosystem. 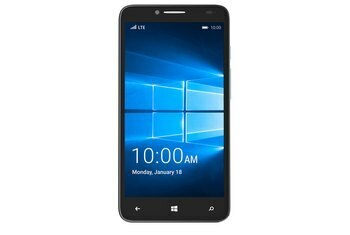 The device runs Android 5.0 Lollipop, offers a 5-megapixel camera, 8GB of storage, a 4.5-inch display, a microSD slot, and 4G LTE capabilities. As is typical for budget handsets these days, you’ll find that the 8GB of internal storage is gobbled up rather quickly due to only 5GB being usable. At a time when phone manufacturers are creating phones that make bold and flashy statements, the Moto E takes a different route. 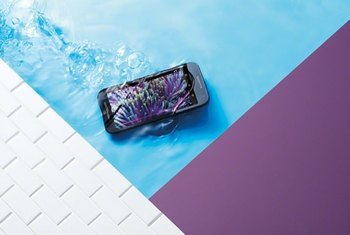 Rather than shouting about how great it is, the look and feel of the Moto E warmly invites you to pick it up and have a play, and it feels great in the hand. 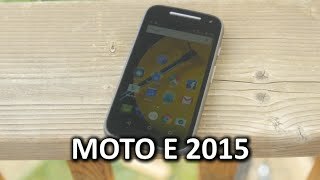 While most of the Moto E's hardware makes a strong first impression, its display is where you begin to see the sacrifices Motorola made to reach such a low price. The 4.3-inch display on the Motorola Moto E (2015) comes with a 540 x 960 pixel resolution resulting in a pixel density of 245ppi. Don't expect a high quality affair here, you're getting what you pay for but that's not necessarily a bad thing. 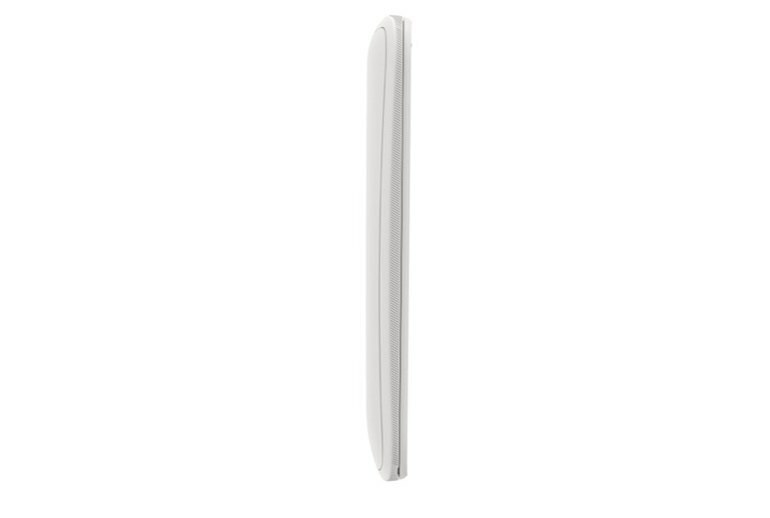 In our 8GB review unit, 3.42GB of storage was available out of the box. That limits how many apps you can install, some which can be more than 1GB each. The new Moto E's 4.5-inch, 960 x 540 IPS touch display is small and low-res by today's standards, but it's bright and colorful. The $120 handset is fantastic value in a vacuum, but it's difficult to fully recommend when Motorola's other budget device, the Moto G, brings a superior display and design for just $60 more. 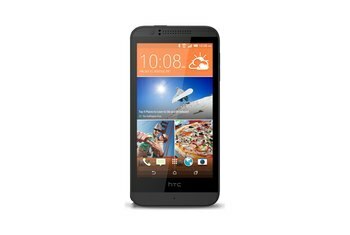 Last year’s model rarely struggled—save for when switching between apps—while the 2015 model is generally sluggish, but still usable. 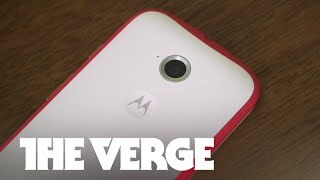 Almost everything about the new Moto E is better than the first-generation model. 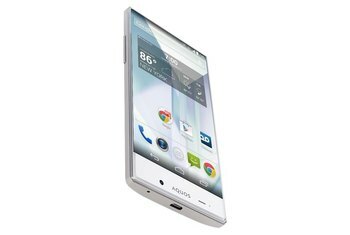 The screen's ever-so-slightly bigger, the processor's faster and the camera's improved. 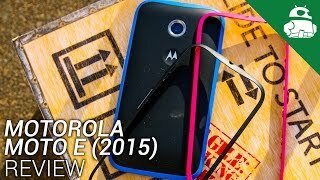 Furthermore Motorola continues to equip the Moto E with a tough Corning Gorilla 3 glass screen – aside from the original Moto E, most phones at this price point use plastic. The basic design of a Motorola phone scales down to $150 devices and all the way up to $700 devices, and on all of them it's visually appealing as well as ergonomic. While the camera doesn't work super great in the dark, daylight shooting is pretty good, even without giving the setup a break for its price point.